China acknowledges He Jiankui's misdeeds. What's next for the disgraced scientist? 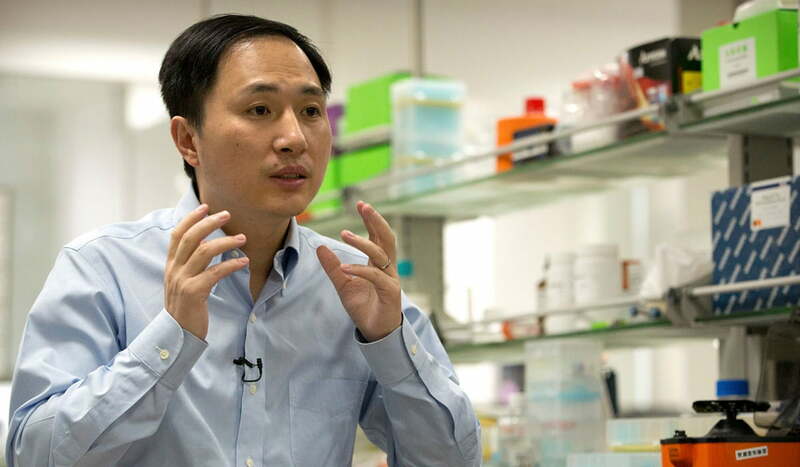 The world has been wondering what will become of disgraced Chinese scientist He Jiankui since he proudly announced last November that he had used CRISPR technology to alter the genomes of twin girls. The girls have now been born and, from what we know, appear to be healthy. Their genomes were altered to make them resistant to HIV infection, though there was no reason to do so and the long-term implications of the alterations remain unknown. The firing took place after China’s Xinhua news outlet reported that the scientist, who has been under house arrest for weeks, has been deemed guilting of breaking the law by the Guangdong Province Investigation Task Force. This is China’s first admission that the events took place at all. He has been accused of “deliberately evading supervision, privately organizing relevant personnel, and implementing genetic editing activities for human embryos for reproductive purposes prohibited by the state” all “in pursuit of personal fame and fortune.” He also forged ethical review books regarding the experiment. Over the last two years, He recruited 8 couples with HIV-positive males to participate in his gene editing experiment. Two of the volunteer women became pregnant and one has given birth to twins Lulu and Nana. The second woman has yet to give birth, as far as we know. “This behavior seriously violates ethics and scientific research integrity, and seriously violates relevant state regulations, causing adverse effects at home and abroad. While the story did not report whether or how the Chinese government planned to punish He for his transgressions, it seems likely that the police will get involved. It seems certain that He will never work as a scientist again and it’s been suggested by the geneticist that invited He to present his work to the public that the Chinese government could execute him for corruption and bribery (though there is no evidence yet that this is the case). At the very least, He’s life will be very different if he is ever a free man again. China’s social credit system, which prevents people who commit crimes from finding new employment, applying for loans, or even traveling, is cracking down on scientists guilty of misconduct. His actions go far beyond that. According to the Wall Street Journal, He will be been taken from his state-owned apartment and into official custody where he “will be severely dealt with according to the law.” However, the government has yet to formally accuse him of any economic crimes which would likely carry the death penalty. We’ll be watching closely as this story continues to unfold.